Anti-abortion legislation is putting clinics out of business: 54 clinics have closed since 2010. 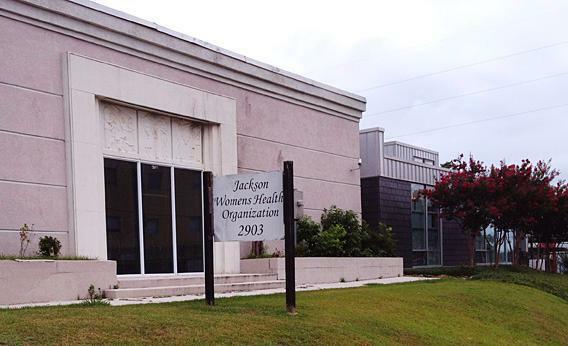 Jackson Women’s Health Organization, the lone abortion clinic in the state of Mississippi, July 11, 2012. Despite various legal setbacks, the anti-choice movement’s relentless passing of anti-abortion legislation has taken some casualties. The Huffington Post surveyed state health departments nationwide and found that, since 2010, 54 abortion clinics in 27 states have closed, many due to medically unnecessary, politically motivated regulations. This kind of rapid loss will have a dramatic impact on how available safe, legal abortion is for huge numbers of American women. Researchers from the Guttmacher Institute surveyed abortion patients in 2008 and found that the median distance to travel for an abortion was already 15 miles, with a third traveling more than 25 miles to get an abortion. Rural women were in a particularly bad situation, with 31 percent of them having to travel 100 miles or more to get an abortion. That was all before this recent round of clinic closures, so there’s every reason to believe these kinds of statistics are getting worse. The situation is particularly concerning for Texas and Arizona. Those two states have lost 21 clinics between them, putting low-income and rural women who need abortions in a very tight spot. And this is all before Texas’s new law aimed at closing clinics goes into effect. If it doesn’t get blocked by the courts, the state is expected to lose even more, leaving only five left in a very large state. This problem of accessibility is certainly reflective of the current political climate, where a lot of people have this sense that abortion should be legal but also a hassle, presumably so women don’t feel they got off too easy. It’s a nice, comfortable opinion for someone who isn’t currently dealing with an unwanted pregnancy. In reality, however, setting up a bunch of needless obstacles is just arbitrary cruelty. There’s no moral lesson in making abortion harder to get. Taking away clinics is just creating hardship for the sake of hardship, a bit of pointless cruelty dished out mainly by politicians who will never have to live with the consequences of it. Unless their daughter gets pregnant, and then they’ll probably just make the drive.